Having problems researching a Federal case law for your Federal Income Taxation class? Don't know where to find the related code sections for your State and Local Taxation class? 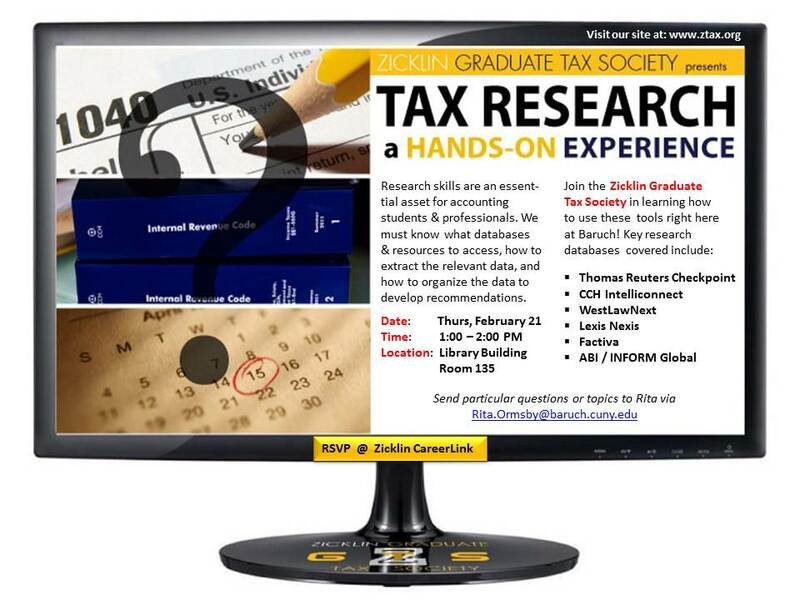 Come to this research workshop held by the Zicklin Graduate Tax Society. Prof. Rita Ormsby will illustrate hands-on experience in using tax research databases, including Thomson Reuters Checkpoint, CCH Intelliconnect, WestlawNext, and Lexis Nexis. Students will learn how to access, search for, organize, and analyze data on tax issues.